So far, our interviews at the Starz Denver Film Festival have been the most fun we’ve ever done. This time around, we’re honored to speak with Dr. George Hardy and Micahel Paul Stephenson from Best Worst Movie and Troll 2. I can’t even begin to say what a pleasure this interview was. We had a great time talking with these gentlemen about what it means to be in the worst movie ever made and how they came to embrace it. We hope you have as much fun listening to it as we had recording it. As a fan of bad movies…. INCREDIBLY fun interview! I’m glad you enjoyed it. 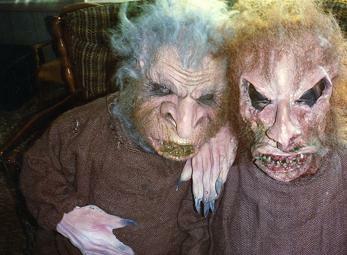 Seriously, a double feature of Best Worst Movie and Troll 2 makes for one of the MOST fun times imaginable.